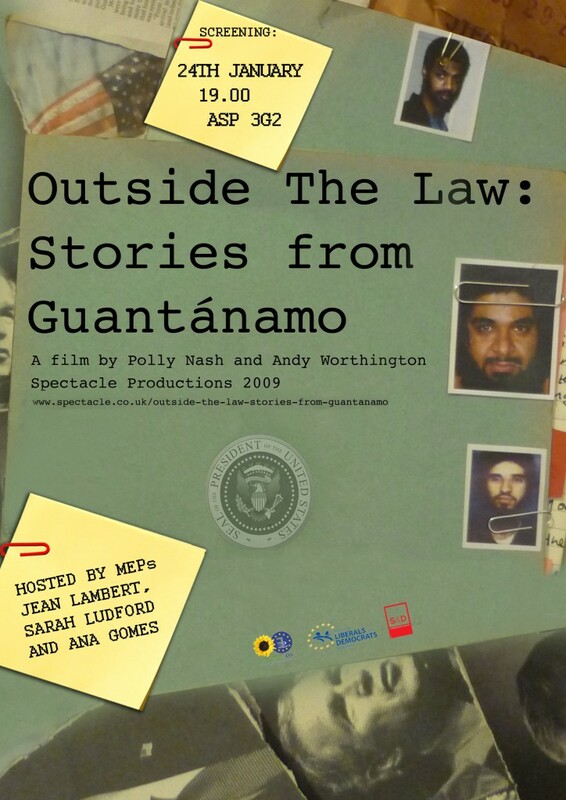 On Tuesday January 24, at 7 pm, there will be a special screening of the acclaimed documentary film “Outside the Law: Stories from Guantánamo” at the European Parliament in Brussels. The screening will take place in the main European Parliament building, the Altiero Spinelli Building, Rue Wiertz, in Room ASP – 3G2, on the 3rd floor, and Moazzam Begg, former Guantánamo prisoner, and the director of the NGO Cageprisoners, will be joining Andy Worthington and Polly Nash for the screening, and for the Q&A session afterwards. The screening has been arranged by Jean Lambert (UK Green MEP), with the support of Sarah Ludford (UK Liberal Democrat MEP) and Ana Gomes (Portuguese Socialist MEP), and the purpose of the screening is to raise awareness of the continued existence of Guantánamo, and its mockery of universal notions of fairness and justice, ten years after the prison opened, on January 11, 2002. Given President Obama’s very public failure to close the prison as promised, it is essential that other countries step forward to take cleared prisoners who cannot be safely repatriated, and one of the main purposes of the screening is to encourage EU countries to re-engage with the process of resettling prisoners that was so successful in 2009 and 2010. If those wishing to attend do not already have an access badge for the European Parliament, they need to provide their full name, date of birth, nationality, passport number or ID card and number and also specify the type of document (passport, ID card) so that access badges can be arranged. Without an access badge, those wishing to attend the screening will not be allowed. Moazzam Begg and Andy Worthington will be available to talk to the press along with Jean Lambert MP, Sarah Ludford MEP and Ana Gomes MEP they are hoping to have the opportunity to discuss the need for European countries to revisit the generosity shown in 2009 and 2010, when many offered new homes to cleared Guantánamo prisoners who could not be safely repatriated. 171 prisoners are still held in Guantánamo, and 89 of these have been cleared for release by President Obama’s interagency Guantánamo Review Task Force. 58 of these men are Yemenis, whose release is being prevented by President Obama, and by Congress, but others remain in need of new homes, and it is only the absence of offers from, for example, countries in Europe, that is preventing them from finally being freed. 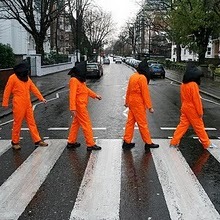 The London Guantánamo Campaign is marking the illegal detention centre’s first 10 years’ existence with a series of actions in January 2012. 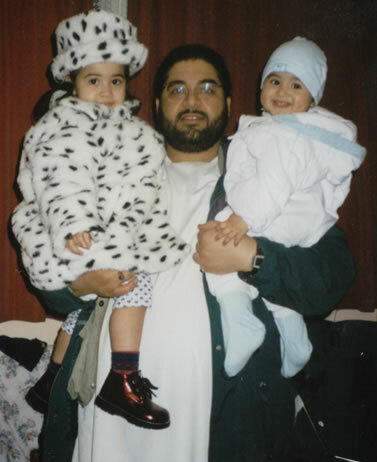 Including a candlelight vigil outside the US embassy in London on 12th January, these actions have been designed to highlight a decade where over 800 prisoners were detained, most of them without charge or trial and subjected to torture and abuse. 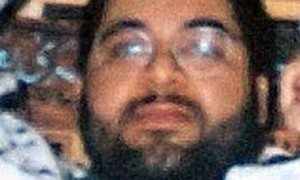 The LGC has also launched an e-petition which will be forwarded to the US ambassador to the UK, Louis Susman, on 11th January 2012 calling on the US government to repatriate UK prisoners Shaker Aamer and Ahmed Belbacha. Click here to add your name to the e-petition.